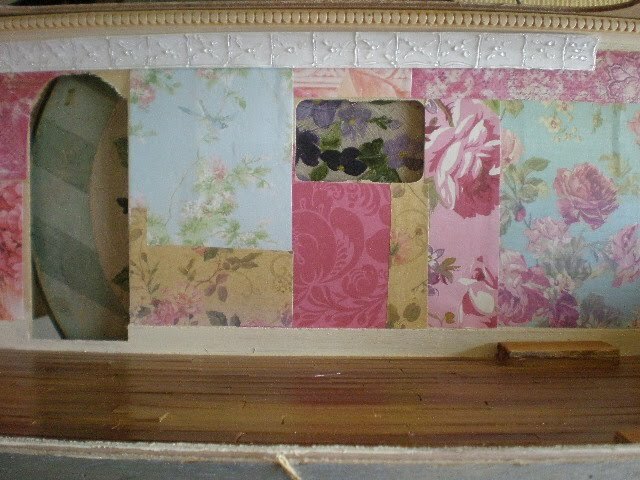 Today, I started putting in the wallpaper. I used Elmer's School Glue stick "disappearing purple." 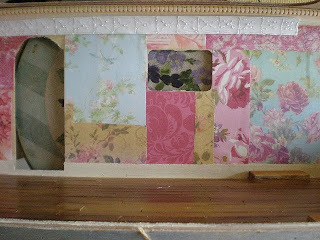 It is fabulous for dollhouse wallpaper! First, you can see exactly where you put the glue, so no spots missed. Second, it makes no bubbles, no mess, no creases. I'm adding more "tin" tile molding under the wood molding. It's not painted here. You can see my hot glue design! 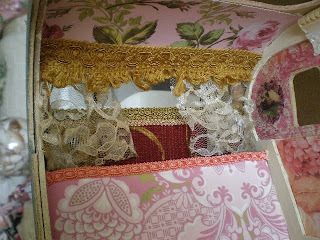 I added the lace curtains to the front window. I had totally forgotten them. But it wasn't so hard to put on despite my having already put on the gold trim. I went looking for a little bathtub today. I didn't find what I want! I'm too picky. 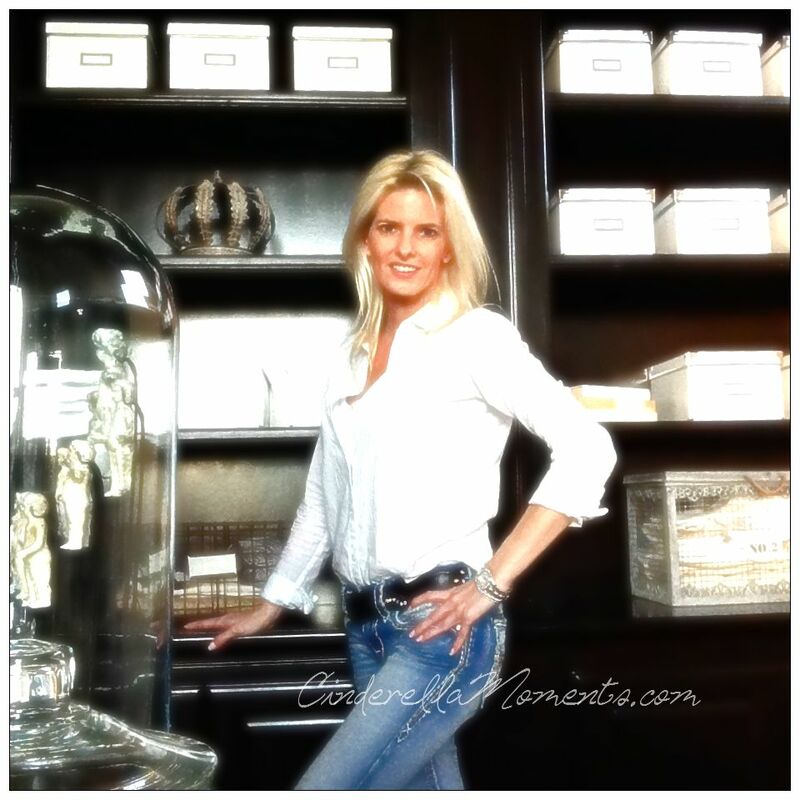 I have one more store to go to in Dallas. If I don't find it there I'll have to resign myself to one of the online ones. Want to see the Magnolia Pearl Airstream? The 'patchwork' of papers is fabulous. I check out Magnolia Pearls website, how awsome some of her things are, but it annoys me that there is so much data to download on every screen view. Es un papel precioso, me encanta.